AVCI.net is one of our oldest clients. 360 created their website several years ago and when the time came to redesign it, AVCI asked us again to design their new website. This time around, however, we decided to use a CMS (Content Management System) to make it easier for AVCI.net’s staff to update their site whenever they need to do so. News next to the slider to let visitors know what’s new at AVCI. In order to cut customer service calls, we proposed an FAQ page and client approved it. It did reach its goal. Mobile-friendly (responsive) technology which allows the site to adjust automatically if viewed on a mobile device. 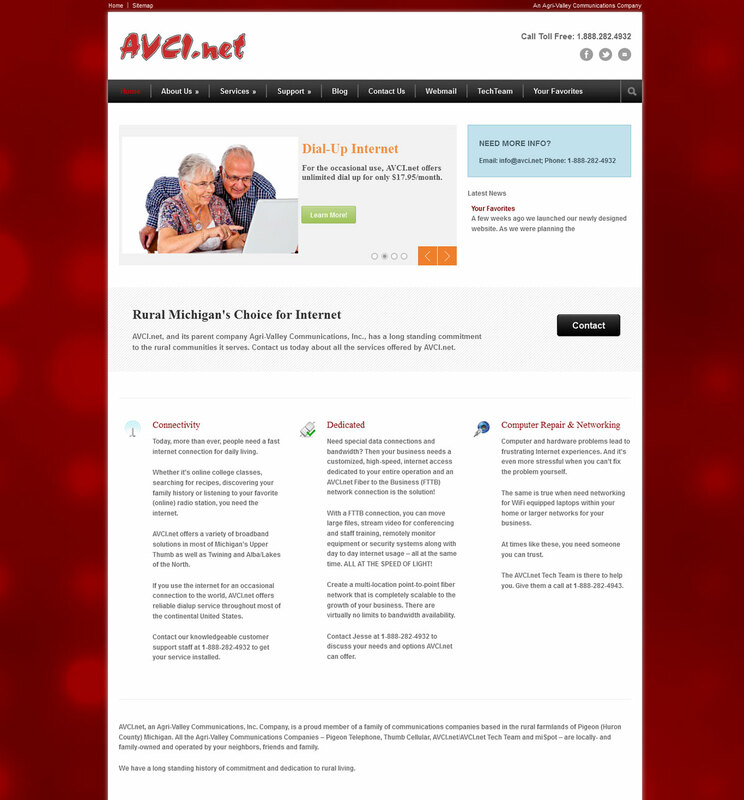 AVCI.net, a subsidiary of Agri-Valley Communications, Inc. is one of the largest rural internet service providers in Michigan, serving primarily what’s known as the Thumb Area as well as other rural areas in Northern Michigan. Click on the image above to view full screenshot.